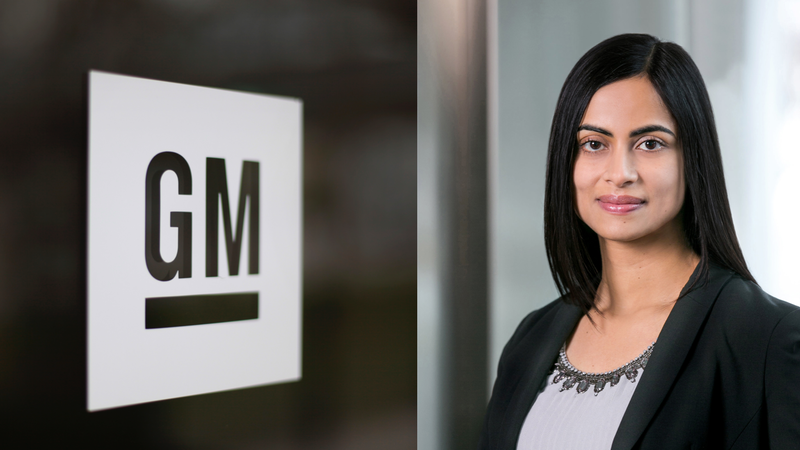 Dhivya Suryadevara, General Motors’ next chief financial officer. Mary Barra became the first woman CEO of a major automaker when she took charge of General Motors in 2013, and years later, she’s still mostly surrounded by men in automotive leadership positions. But in a few months, Barra will have the GM’s first-ever female chief financial officer reporting to her. Suryadevara, will report to Mary Barra, GM chairman and CEO. Anyhoo, Suryadevara came to GM in 2005 with a bachelor’s and master’s degree in commerce from the University of Madras in India and an MBA from Harvard Business School. She’s been the GM vice president of corporate finance since July of last year, according to the announcement, and made the Forbes “40 Under 40” list of most influential young people in business in 2015.